The world of malware protection is constantly developing. Older methods that protected businesses from certain malware attacks are no longer working, and keeping up to date is a constant requirement. That is why many technologies exist to protect other businesses from malware, viruses, and information losses that cost businesses money. Today, that includes attacks that come in the form of Ransomware, also called CryptoLocker malware, which is a unique and dangerous malware strategy that’s affecting businesses around the world. But what is CryptoLocker malware and how can you protect your company against it? Here are some answers to common concerns about Ransomware and CryptoLocker malware. Why are today’s malware attacks such a threat? Today, malware attacks don’t always simply steal information, they hold it hostage. Instead of just stealing your information, CryptoLocker malware moves it to a different location and starts to shut down the functionality of your website and business-related software. Then, the attackers make a ransom demand to remove the malware. After you’ve paid, they return your files, and your system’s functionality, back to you. It’s a simple process, but one that can stop your business in its tracks, cost you substantial amounts of money, and compromise your entire enterprise. How can you defend yourself against it? Protecting against the CryptoLocker virus requires constant vigilance, and malware protection that is best handled by professional solution providers like Securence. To protect yourself against this new kind of malware, Securence uses cutting edge analytics to monitor email traffic patterns across its customer base. These analytics let us respond to new threats in real-time, using sophisticated heuristics that take many facets of email-borne malware into consideration. Everything from IP addresses, envelope senders, and message headers are scrutinized, as well as behavioral patterns and source code indicators associated with CryptoLocker and other Ransomware. Securence also performs a deep analysis on attached archive files (such as .zip, .7z, and .rar), as these are common ways that attackers deliver this sort of ransomware. Cybersecurity is one of the most advanced and constantly-changing fields in the world because new malware and exploits are being developed, spread, and used almost every day. Unlike other forms of attacks, like phone scams, malware attacks are costing businesses millions of dollars every year in lost productivity, clients leaving due to security issues, and other forms of money-losing consequences. If your company uses specialized systems to conduct its business, whether it’s a dedicated server, a business email service, or even a private server, you need protection from the latest forms of malware, including the CryptoLocker malware family of viruses. Since CryptoLocker malware can be deployed in many different ways, and is constantly changing, you’ll need a comprehensive security system in place, including best practice protocols, comprehensive email filtering, and more. Securence has the experience, dedication, and expertise to help keep your business, and all of its information, securely. Using the latest strategies in addition to constant updating and maintenance, we help businesses stay safe from everything from common viruses to elaborate CryptoLocker malware schemes that cost businesses millions of dollars every year. 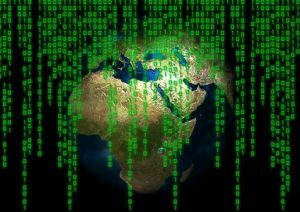 The world is changing, and so is the world of cyber security. With every leap in technology, every innovation, there are also highly advanced threats that come with it to harm others. It can come in many forms, from simple viruses to programs that steal identities, but none has been as prevalent and as damaging as the CryptoLocker Virus. Businesses around the world have suffered immensely from CryptoLocker Virus attacks since its invention in 2013. There is good news though, the virus can be stopped. Here is some information on what the CryptoLocker Virus is and how you can protect your company from this particularly insidious malware attack. Before we get into effective ways of protecting against the CryptoLocker Virus, it’s important to understand the virus itself. 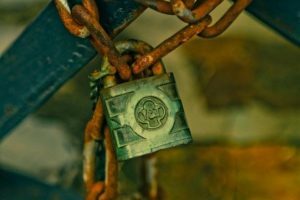 CryptoLocker is a unique kind of ransomware that’s traditionally used to target businesses. It exclusively targets computers and servers running Windows, which is still the primary operating system of businesses. When successfully deployed, it encrypts data on the computer and related servers, making it inaccessible to the computer and anyone who would generally have access to that information. In its stead, a message is left with instructions on how to have the information encrypted, which usually includes a ransom price. Once the conditions are met, the data is decrypted, and you can continue on with your business. To protect your business against the CryptoLocker Virus, you need a comprehensive cybersecurity system that starts with effective email filtering and surveillance. 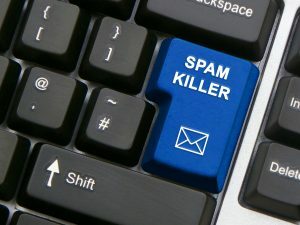 Even to this day, the primary way that the CryptoLocker Virus deploys into systems is through emails, so you’ll need a way to scan and filter out all emails that could include these viruses, as well as the best practices in place to control your employees’ email habits. Without this, you could leave yourself susceptible. Cyber attacks have only grown more complicated and more insidious as our technology improves and more information is stored online. The CryptoLocker Virus is just one such type of cyber attack that can shut down your business, extort money from you, and lead to other consequences that can cost your company. To stay safe, it’s important to have a comprehensive and effective cybersecurity plan in place. This includes automatic programs that can safely analyze attached archive files (such as .zip, .7z, and .rar files) to see if they’ve been infected with any kind of malware, including ransomware like the CryptoLocker Virus. Without this, your company, all its information, and your clients’ trust could be lost thanks to a single email attachment. At Securence, we are up-to-date on the latest malware protective practices, including the effective means to protect your business against the CryptoLocker Virus. If your business has confidential information, proprietary software, email services, or even a private server, be sure to call us. We can set up the variety of services that your business needs to stay safe, protected, and successful in the changing world of cyber security. Do you feel as though you are up against a constant stream of new viruses that threaten to destroy your business? Malicious software is all around us, on a daily basis. If your antivirus software and anti-spam filters are not equipped to take on these ever-evolving threats, you may be at the hands of harmful ransomware Trojans, such as CryptoLocker Malware. CryptoLocker Malware is a powerful Trojan horse virus, which often affects the Windows-based operating systems used by many businesses worldwide. This ransomware will infiltrate your computer systems via infected email attachments, ultimately encrypting many valuable files on your hard drive. As CryptoLocker is a type of ransomware malware, the only way to recover the affected files that have not been previously backed up is to pay a “ransom”, all in an effort to decrypt the data in question. However, not even paying these ransoms will guarantee the recovery of your affected files, as without being offered the decryption key necessary to recover your data, you may remain locked out. CryptoLocker Malware and its related variants are often delivered in email attachments with macros. As macro viruses are often embedded within software applications, such as Microsoft Office and its related programs, opening affected documents will cause the macros to run automatically, t hus spreading encrypting ransomware throughout your computer’s operating system. Although many antivirus programs claim to protect against macro viruses, this malware is extremely difficult to detect. CryptoLocker’s variants include, but are not limited to: CryptoDefense, CryptoWall and TorrentLocker. These encrypting ransomware Trojans use the Bitcoin digital currency platform to collect ransom money from affected parties. As payment of the requested Bitcoin ransom does not constitute the decryption of the files affected by CryptoLocker Malware and its variants, in order to truly protect your business from this threat, you must employ a proven, premium email encryption service, such as Securence. The only effective way of combating ransomware such as CryptoLocker Malware is to prevent these Trojans from infiltrating your company’s computer systems in the first place. At Securence, we are ahead of the industry in stopping threats from encrypting ransomware Trojans, such as CryptoLocker Malware and its variants. We offer powerful encryption technology, ensuring the highest level of email security, with no special software or steps required on your part. We ensure that your communications are easily accessible through any email platform. Our encryption service is designed to meet your individual needs, as well as your budget. Securence is able to contain Trojans and other macro viruses that thrive on Microsoft Office applications, protecting your Windows-based operating systems from these external threats. If your company is concerned with stopping the CryptoLocker virus and its related variants, Securence can provide you with the peace of mind in knowing that your files are safe in our hands. Our email encryption and security service is easy to use and effectively mitigates the risk of email security violations. Securence has a warning system, immediately alerting users when they have received an attachment containing a macro. This allows our users to make cautiously informed decisions when either opening or avoiding these potentially hazardous attachments. Protect your company’s data from CryptoLocker Malware by contacting Securence to discuss your options.